This entry was posted in knitting and tagged fiber arts, fiber arts friday, sock knitting, socks. Bookmark the permalink. Wowza! Fourth sock syndrome. I don’t think I could handle that. I have found certain yarns just want a simple sock pattern too. The yarn does all of the talking. 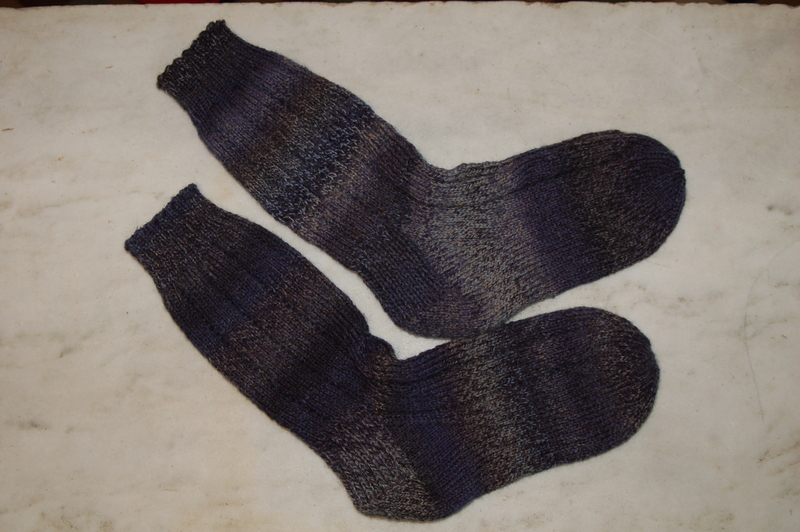 Have you tried http://www.ravelry.com/patterns/library/edwardian-boating-socks with your pooling yarn? It’s a simple pattern, but I’ve had good luck with it dramatically reducing fugly. I haven’t. I’m hesitant to do any of the patterns with those long floats on the right side of the fabric. Do you not have trouble with them reducing the give of the fabric or catching on things? 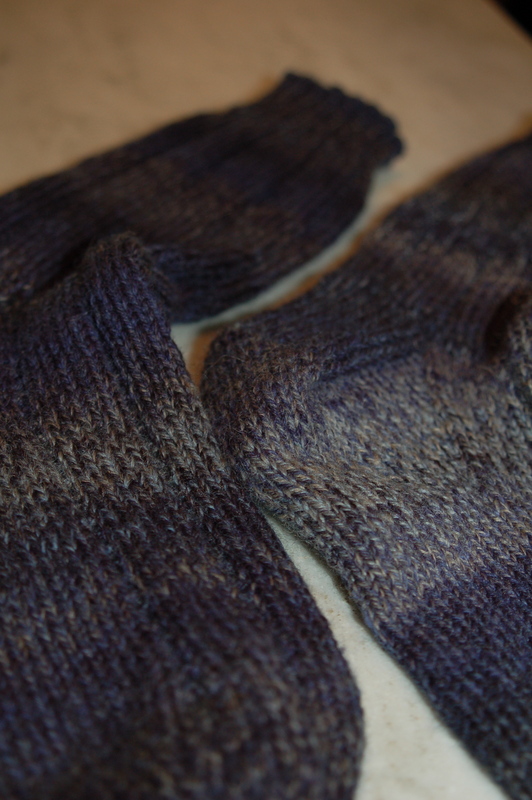 I’ve nearly decided I’ll have to make another pair of Monkey socks (what I had to do with the last yarn that was so curmudgeonly), but I really don’t want to. Sigh. The floats are really only two stitches wide since you catch them in the middle. With a normal sock gage that leaves much less to get caught that you’d think. I haven’t had any trouble with them. They aren’t the most springy socks I own, but they still fit comfortably and don’t sag. 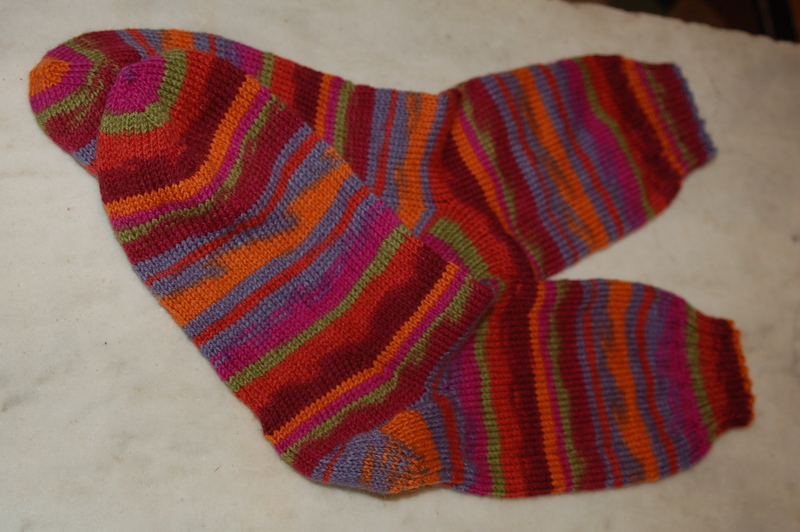 I did re-do the heel, though. No linen stitch heels for me. I’d knit all the time if I could make socks like those! I’m amazed at how even all your stitches are! You could totally make socks like these, Kathy. I’d cheer you on! The even-ness just takes practice. 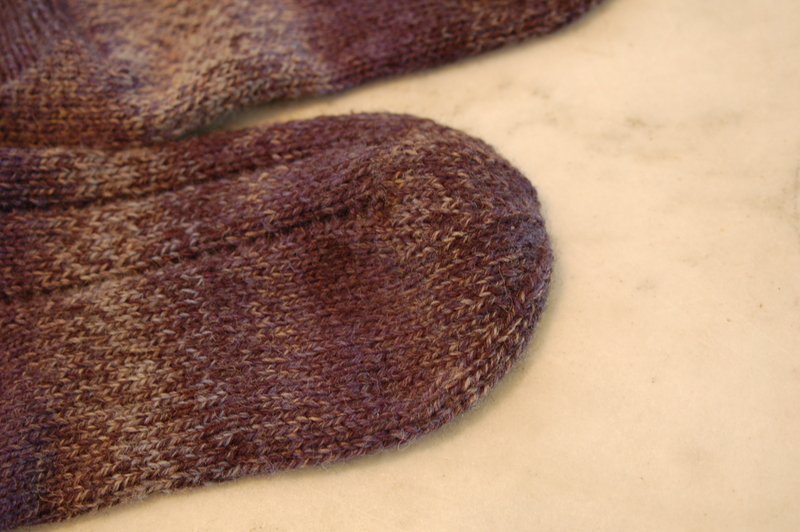 Ah pooling socks…hate when that happens and try as we may, the pooling never gets better. One of the reasons I stopped socks. Although, just found a pair I started back in 2009, yes 2009, so I am currently finishing them. The pooling, augh! Thanks for the commiseration. And yay for finishing languishing projects! the one with the beads or the pink one? Pink one has lace on both sides I think, and my previous experience with that was not good. They are both very pretty though! Even without the beads it’s pretty. Do you have yarn in mind? Not yet, but I should be thinking about it, eh? Sure! Why not? Casting on for a new project is always exciting and could be the diversion and push you need to compete what you have otn now. I don’t like to keep lots of UFOs going, but sometimes co for something new brings the ufo’s to life again. I almost never use a repeat pattern either. Too many good patterns out there, too little time! Those are great socks. I can’t imagine getting four done. I do mine toe up two at a time or i would never finish – and quite honestly I’m not doing well even that way. 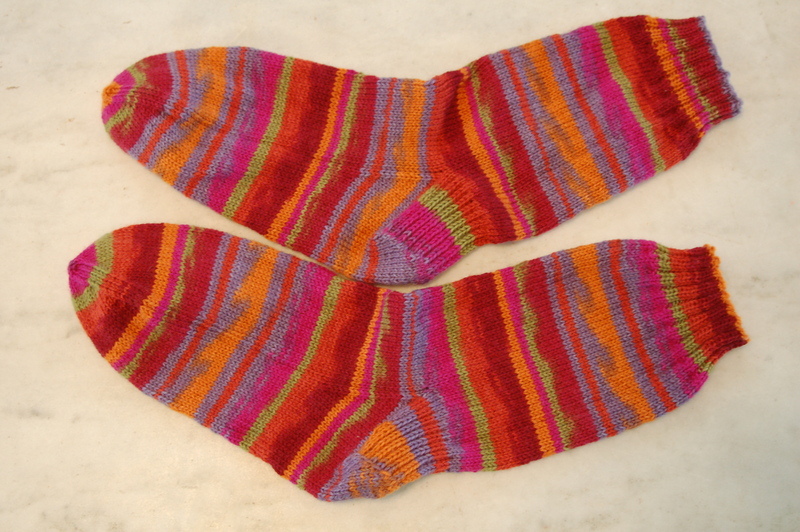 The stripes and waves are great on the second pair.